Rediscover local, community banking with experienced people that you know and trust. Customer care is our priority – you are never an account number; you are our friends and neighbors. Each account is carefully designed to help you manage your money and meet your financial goals. Call or stop by one of our convenient branch locations today to find out more! From checking and savings accounts, to real estate loans and home equity lines of credit, we offer the same types of products the big banks offer, but with hometown, personal service. We are passionate about serving our local community and we pride ourselves on providing our customers with the best in customer service. As your local business partner, we work with you to select the right account for your business. We offer a complete range of Commercial Loan products – from starting a business, expansion, equipment purchases and more. 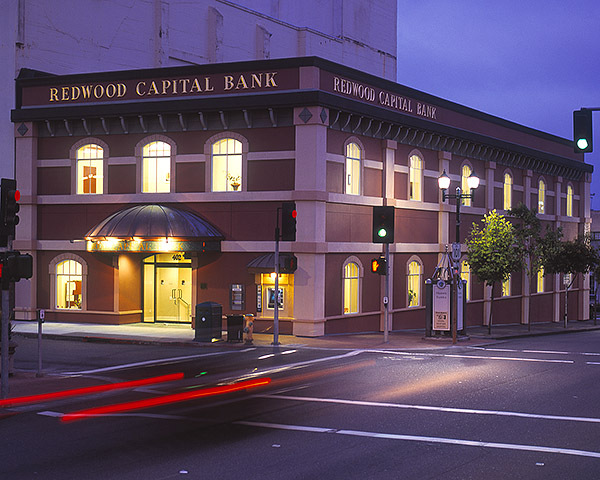 Redwood Capital Bank is proud to be a Preferred SBA Lender.